During NBA media day on Monday, Derrick Rose spoke with NBA.com’s Steve Aschburner about a variety of topics.  Aschburner: "Jimmy Butler took his game to an All-Star level over the last several years. Much of it while you were gone. So when you came back, people started to wonder ‘now how are those guys playing together?’ The word feud was thrown out there. 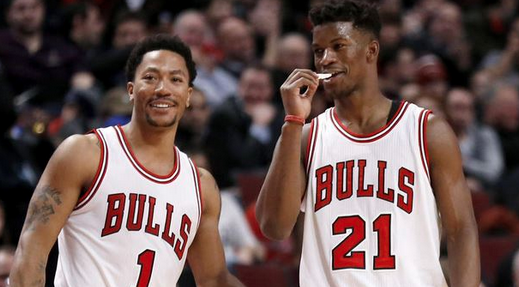 What’s the key to having two alpha dogs in the Bulls backcourt?" Rose: "I don’t think it’s about that. I just think that it’s a big picture. We’re two blacks. African-American guys that’s on the team. We’re just trying to find a way to get going. I think if it was the other way around it wouldn’t be that way. But, it’s just my honest opinion about it. And I just felt like me and Jimmy never had a feud. I remember seeing Jimmy in college play with my friend in JUCO. From JUCO to Marquette. Marquette, all the way up here to an All-Star. I have nothing but joy and excitement whenever you talk about Jimmy. I think it was just something to talk about at the time." Rose went on to say that the key to keeping everyone happy is him being the point guard and general on the floor to get everybody their looks. Maybe less free agency talk as well. Derrick Rose blames racism for media creating false news on Butler-Rose feud.